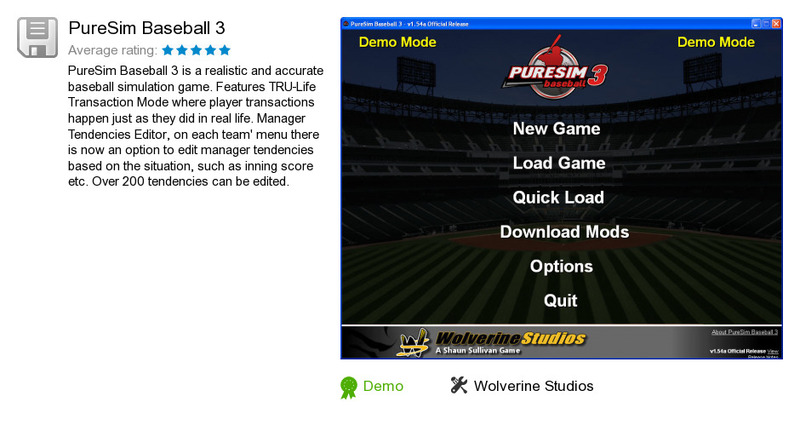 PureSim Baseball 3 is a program developed by Wolverine Studios. We know of versions 1.5, 1.4, 1.0. Version 1.54 is available for download at our site. PureSim Baseball 3 installation file has a size of 94,930,921 bytes. Wolverine Studios also publishes Draft Day Sports: College Basketball 2 and PureSim Baseball 4 Release.